Plus, three more ways you can change up your decor with art. When it comes to refreshing your decor with a new season in mind, there are undoubtedly a number of ways to go about it. One of the more simple approaches comes in the form of swapping out existing art. Now, we’ll admit that there is nothing easy about finding the perfect print or painting but, it can be significantly less costly than splurging on a new furniture set. To make the decision process a little easier on you, we caught up with art dealer and curator Alessandra Salituri, of Citizen Atelier, to get the lowdown on how to refresh your space for fall, with art. Here’s what we learned. Add warmth with rich and moody art. In contrast to the vibrant and cheery shades commonly associated with summer, the autumnal season is all about drawing on the saturated hues found in nature. “For fall, I love surrounding myself with pieces of art that have warm colours like burgundy, rust, ruby, emerald, and beiges,” says Salituri. Pictured above; art by floral photographer Ashley Woodson Bailey. Ditch the walls and embrace the unexpected. Short on wall space? 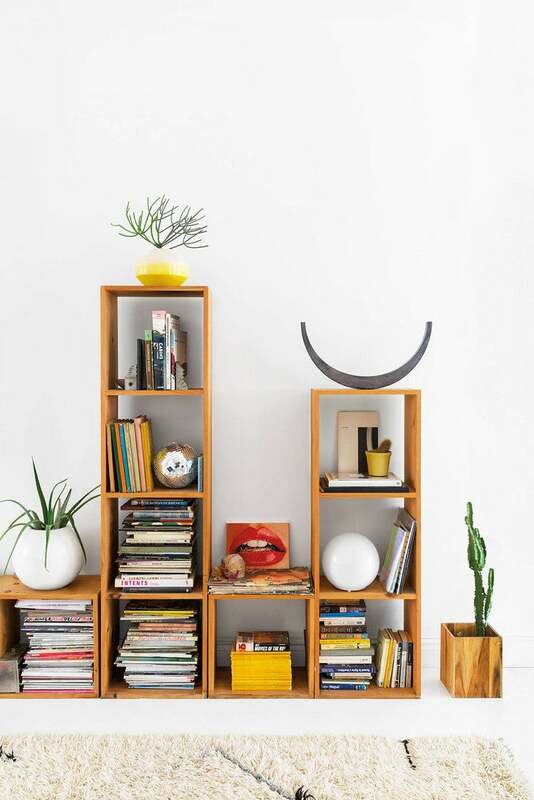 Consider incorporating art in the more unexpected of spaces: bookshelves, nightstands, and ledges included. Finding it difficult to commit to hanging art on walls? No need to fret over your indecisiveness. Display your framed prints on the mantel or even the floors, casually leaning them against the wall. Salituri suggests layering two or three pieces together and adding a decorative element, such as a vase or basket in front, for a balanced look. The result is an effortlessly cool finish that’s relaxed. Pictured above: Art by Krisjan Rossouw. While we typically tend to seek a custom frame for prints and paintings, once we’ve settled on one, we hardly ever swap them out, especially if said frame is something we’ve invested in. Short of having to buy new art, consider opting for a new frame instead. Not only will it transform the art piece itself, but it will instill a refreshing element to your decor.